The majority of things on this list I have personally done. Others (1) are on my bucket list before I leave Korea. Personally, this post works out great at this particular juncture in my life because I am not quite rolling 💸”in the deep” just yet. If sprawling city views, a good workout (12km/ 7.5mi in entirety) and a brisk hike don’t tempt you I don’t know what will. The Namhansanseong fortress is an ancient wall which was built to protect ancient Seoul from invasion. Over the years, Seoul has spread out far beyond the reaches of this ancient wall. Despite the physical growth Seoul has experienced over time, its wall has persevered through the ages and remains a UNESCO World Heritage Site. What better way to get acquainted with a new city, than to see as much of its origin as possible? The hike brisk inclined walk can easily be done in sneakers. Moreover, the whole thing can be completed in a day- depending on how dedicated you are to the cause, and how fast you hike walk. I highly advise bringing along your ARC or passport. There is a spot on the trail where you will be denied access if you don’t have an official government issued form of identification; because the trail provides unique views of the presidents’ house (the blue house). Everybody is wicked nervous because some guy was positioned on the fortress wall…like 10 years ago and attempted assassinating the president that one time. Which is also why you can’t take pictures in the direction of the blue house. There’s multiple guards watching you at this point and there’s CCTV recording you…on the mountain large hill. If you want to take a break, or require nourishment you can step off the trail at either the North or South gate. Confusingly, the wall can easily be accessed from the “Namhansanseong” station on line 8. Super complicated to remember, I know! This is an amazing tourist opportunity offered by Korean Travel Organization (KTO). All you have to do is obtain a little booklet from the first floor of Incheon International Airport Passenger Terminal- in front of Exit 5 or 10. Once you fill out an application you are well on your way to exploring historical and cultural sites all around Korea! Let this handy booklet be your tour guide throughout Seoul! It will lead you to the cultural and historical sites within Korea that are truly worth seeing. Each world heritage site has a unique stamp- to be placed on a specific section of your passport booklet. Once you have filled the booklet you are left with pictures, memories and a really cool souvenir. Everything online says that the promotion was set to end in December 2015. I honestly don’t know if it has been discontinued or not because it’s been popular among tourists. But even if it has been discontinued, you should still get to as many as possible because they are truly worth seeing! I cannot guarantee that every single site is free. A lot of them (because I can’t remember if I ever paid to get into one) have been free when I went. I would suggest doing a little research on the KTO website before you arrive. There are many UNESCO World Heritage Sites (link) to choose from, so pick the ones that interest you most! Once upon a time there was a village Korean people called Ihwa. Ugly and dirty, this dodgy part of Seoul was home to the likes of alley lurkers and prostitutes. The village nobody wanted was set to be torn down and new fancy apartment buildings to take Ihwa’s place. Intent on saving this village from destruction, an infantry of artists were deployed to the area. Armed with paintbrushes and brilliantly colored paint, they fired rounds upon the once ugly and decrepit walls and stairs. To this day, you can see the remains of the artists’ battle that saved a village. The narrow alleyways are clad with murals in vibrant colors. The end. Do you appreciate art? Would you say… you have a fever for it? Then the only prescription is more cowbell art. You won’t be disappointed- and even if you are it was free and you got to look at pretty things and take cool photos. There aren’t many places to eat in the village though, so I would advise feasting beforehand. Walking takes energy and energy comes from food! This is a great way to learn the history of Korea in a short amount of time. This museum is large enough to spend an entire day exploring Korea’s history…that’s what we did! It’s filled with interactive exhibits- you can actually play with/on some of the things in there! The best part? It’s 100% free! The namsan tower is a major tourist attraction here in Seoul. If you are only here for a short while, I would suggest getting this- and other touristy things out of the way first. That’s just my personal, travel style though. “Do the thing in the place” you’re supposed to do it in, and then go do more exciting things. Not tryina’ bash the Namsan Tower because it does have its perks. You get amazing panoramic views from the top which can result in amazing pictures. You can leave an “everlasting message of love” inscribed upon a lock, and stick it on a fence. Tourists love putting locks on things. The whole thing beats me! Regardless of whether or not you want to spend money on a lock just to put it on something arbitrary- you should get to Namsan Tower. No trip is complete without it. It also could make for a very romantic date at The N Grill restaurant which provides 360 views of the city…But hey, if locking things is your jam and the only reason you go there- that’s cool too. You go Glen Coco! Literally climb any mountain- there are a handful of mountains accessible by train, and aren’t THAT difficult to climb. Catch amazing views of the its from atop a mountain- it’s crazy how easy it is! Stay tuned for the third installment of this series: Almost Free Things to do in Korea. Is there something I have missed? 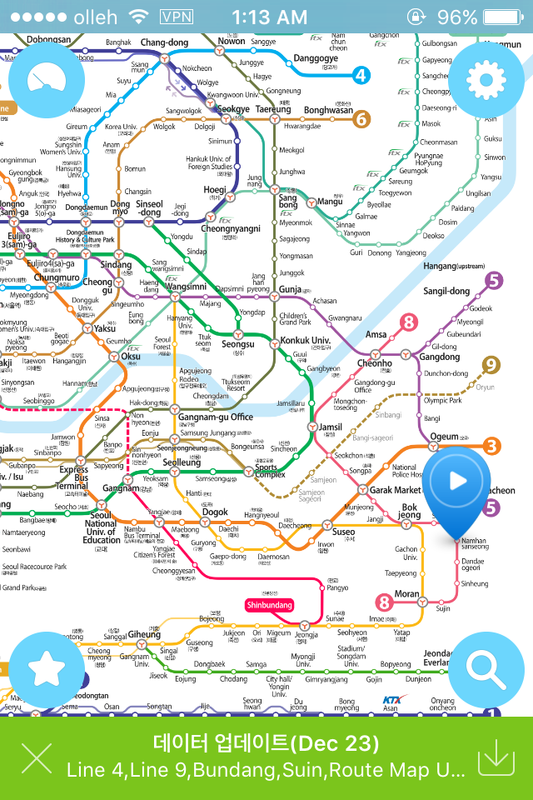 Is there anything you would add to the list of *free* things to do in Seoul? Let me know in the comments! As usual, it’s easier to catch flies with sugar than with vinegar. OMG! Thank you so much for this! And oh, how I miss Professor Snape – the greatest (mis)leading character I know. Bookmarked this post and draft my itinerary. Unfortunately I can’t meet you in Seoul. Would love to ask you to be my tour guide. lols. No problem- it was a great idea! 👍 if you make it here before March I wouldn’t mind showing you around but I’m still available for questions!